Hartcliffe Roundabout will be closed between 20:00 and 06:00 from Monday, 17th September until and including Friday, 21st September and Monday, 24th September. During this time journeys going from Bath to Bristol Airport will not be able to serve the Hengrove Leisure Park bus stop. Please note this does not affect journeys going from Bristol Airport to Bath. This entry was posted in Uncategorized on September 11, 2018 by Connor Flavell. Bristol Airport towards Bath- Air Deckers will be diverted via Green Park and Corn Street. The bus will not serve Kingsmead Square or Bath College bus stops. 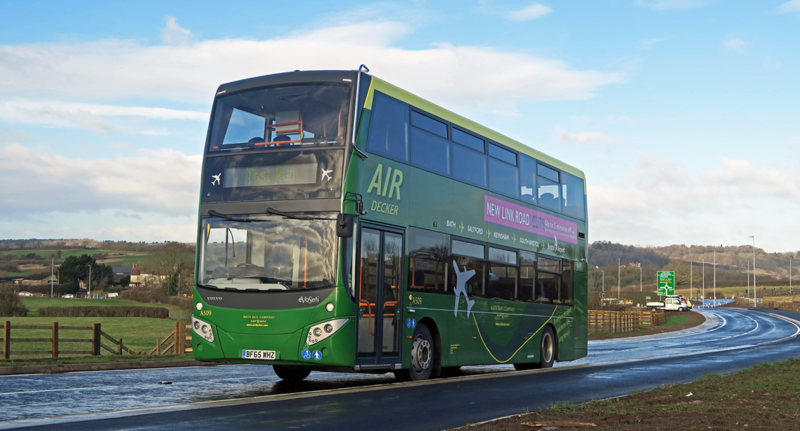 Bath towards Bristol Airport – sevices will operate as per the normal route. Should you require any further information please do not hesitate to contact us on 01225 330444 or 01225 444102. This entry was posted in Uncategorized on September 6, 2018 by Victoria.